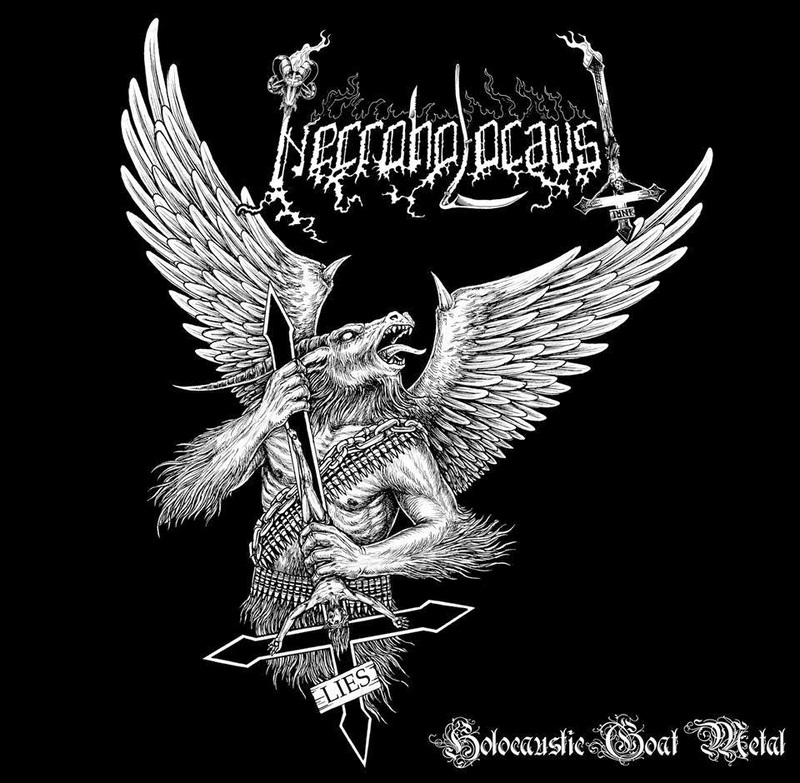 Iron Bonehead is streaming on their bandcamp page NECROHOLOCAUST´s "Holocaustic Goat Metal" on its entirely. Check it out at this location! 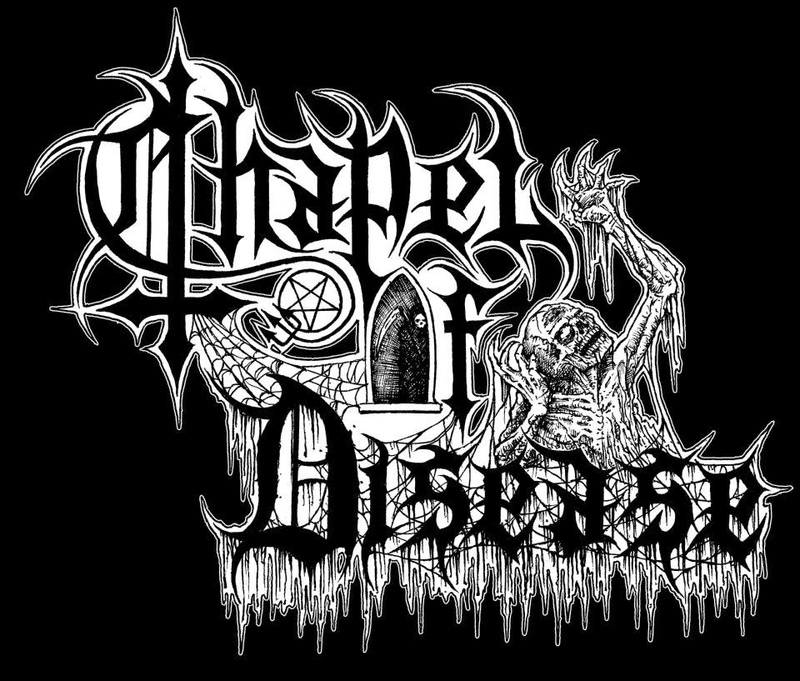 German Death Metallers CHAPEL OF DISEASE will release their second full-lenght entitled “The Mysterious Ways Of Repetitive Art” on January 16th through F.D.A. Rekotz. 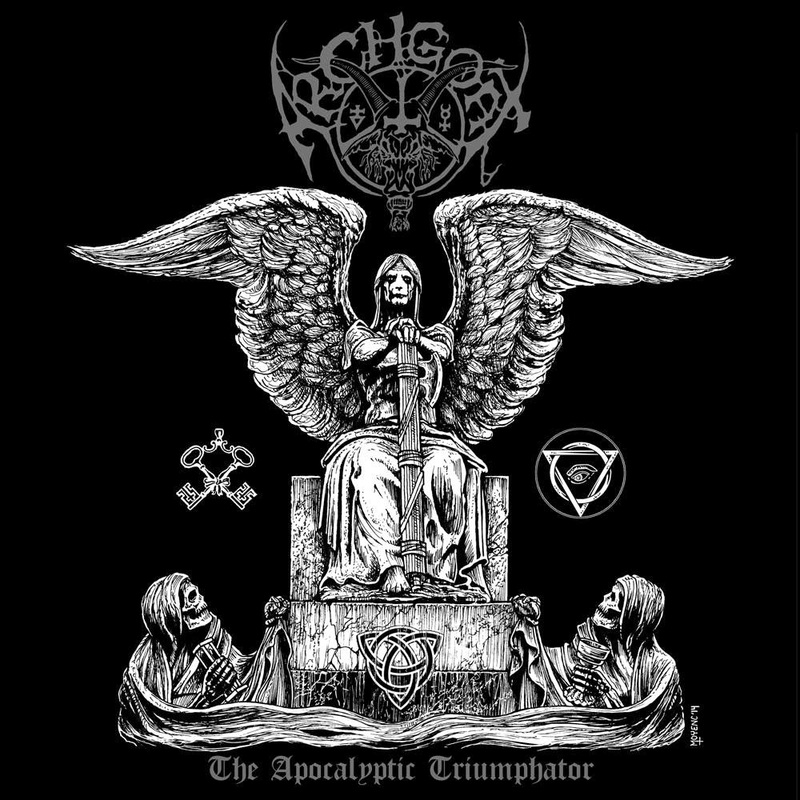 The artwork was created by Misanthropic Art. Check out the song 'The Dreaming Of The Flame' at this location. The full tracklist reads like this: "The Mysterious Ways...", "The Dreaming Of The Flame", "Masquerade In Red", "Lord Of All Death", "Symbolic Realms", "Life Is But A Burning Being" and "...Of Repititive Art". "Ritual For The Dead" a live split featuring NECROHOLOCAUST and SADOMATOR will be releases soon through Iron Bonehead Records. Available in tape format only, limited to 200 copies. 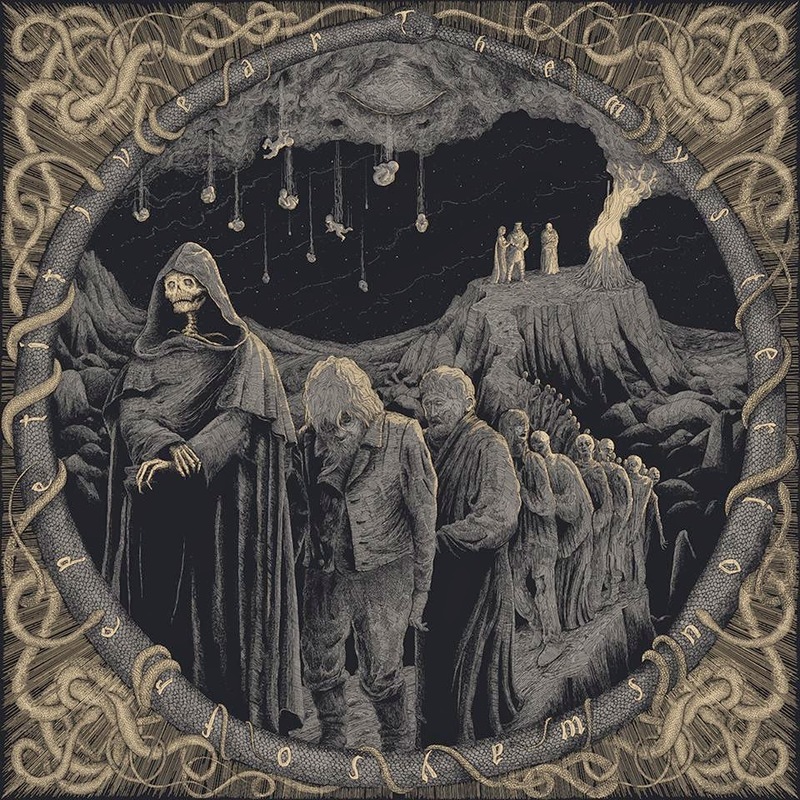 BLASPHERIAN will release a new 7" called "Upon The Throne...Of Eternal Blasphemous Death" through Iron Bonehead Productions. The 7" is going to be released by the end of November with a 300gsm Gatefold Jacket & Poster, limited to 1000 copies on black vinyl. Listen to the track "Phenix of Uncreation" at this location! 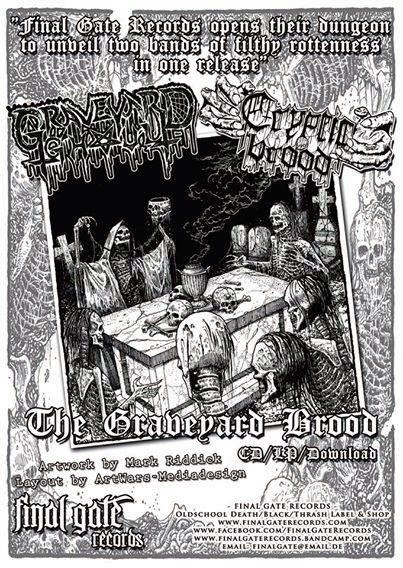 GRAVEYARD GHOUL/CRYPTIC BROOD Split CD/LP! Final Gate Records will release "The Graveyard Brood", a split CD/LP featuring GRAVEYARD GHOUL and CRYPTIC BROOD. 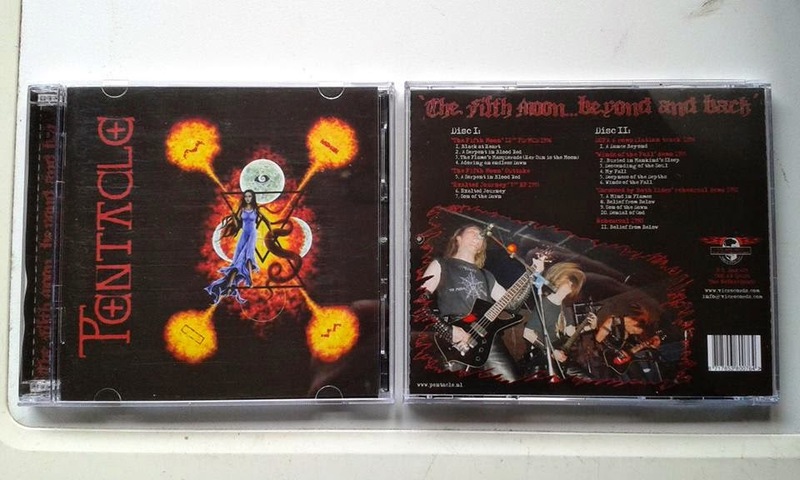 The CD version will be out on helloween the 31th of October. The 12" vinyl version is expected to be out the same day. Here is GRAVEYARD GHOUL´s track "Castle Freak"